The new FORGED cup face Taylormade top end driver from Japan features Taylormades biggest and deepest speed pocket to help maintain ball speeds on off center hits. The new "Gloire G Driver" is a light weight design with a draw bias face structure, the face itself has a draw bias along with draw biased weighting to help battle the slice. It features Taylormades latest technology shape for better Aero performance along with an Alpha Beta Titanium Face for improved distance and especially feel. 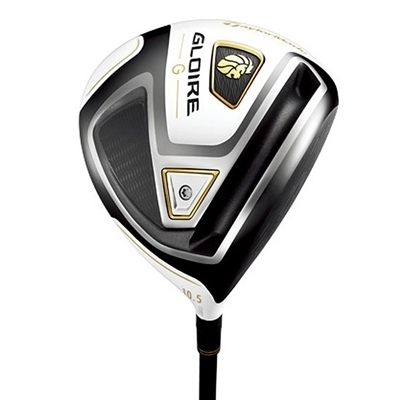 The face itself is more shallow than the Gloire yet the crown raises high to improve performance, more rear weighting has been applied for improvement in MOI for straighter shots and less head twisting at impact.